On the Conco scene fewer than five years, Chris Biggs sees things through fresh eyes. 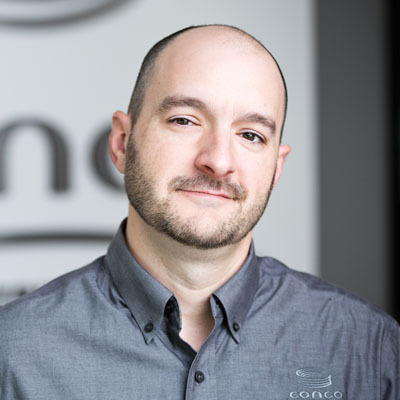 “Conco is very different from most GCs today in that we self-perform a much larger percentage of the actual construction. This helps us control cost, scheduling and quality of the work in place to make us more competitive in the market.” He says Conco is resourceful. We diagnose challenges early on and come together to develop solutions before problems impact project cost or scheduling. With a degree in Construction Science & Management from Kansas State University, Biggs provides estimating and project management for clients across multiple industries. He likes taking a set of plans from start to finish, and appreciates the extra effort and often extra hours Conco superintendents put forth to make sure projects go as smoothly as possible.